The beaches included in Olympic National Park are some of the most unique that we’ve seen in our travels. We were awed by the sunrises on the East Coast and impressed with the sugar white sands of the Gulf of Mexico. 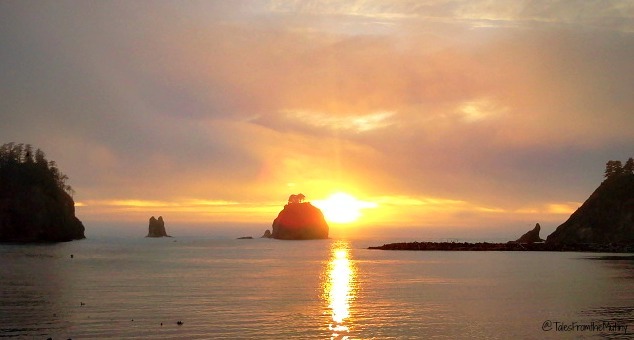 Of course we’ve always been partial to Northern California’s rough and wild coastline (even if you couldn’t get in the frigid waters) and nothing is as iconic as Southern California’s Malibu Beach. Texas impressed us with it’s windswept coastline and Michigan…well, it may not technically be a beach but you’d never know by looking at it. But the wow factor that comes from the Olympic Beaches have been seered in my memory. 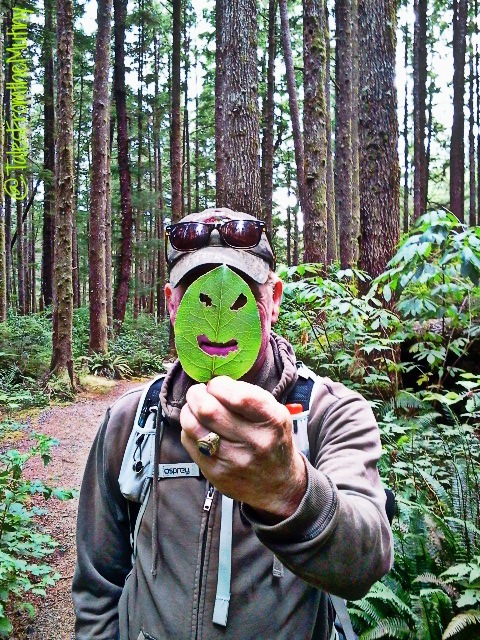 On the trail to Second Beach. We’d never seen an all black banana slug before! 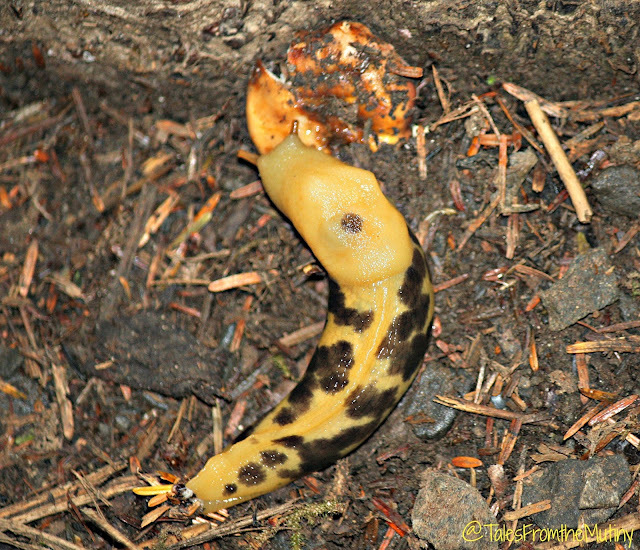 Watch your step on the trails…banana slugs use it too. 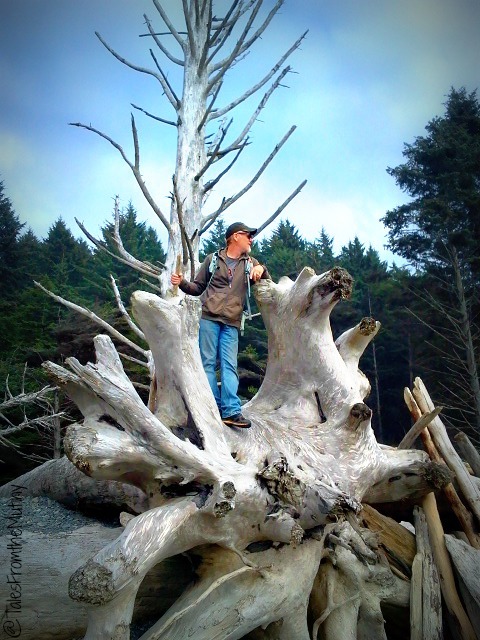 My high school buddy (and now Washington State resident and explorer), Kim, recommended we visit Second Beach. It’s one of her favorite beaches because it incorporates a beautiful wooded hike that ends at the gorgeous, flat sandy beach. It’s also per friendly, something that makes her dog, Piper, very happy. Since it’s the flattest and most “beach like” it’s also fairly popular. However, the 2.4 mile hike (one way) does help keep the big crowds at bay. But fear not, the hike is fairly easy…I even saw several people making the trek in flip flops…and it’s worth it (trail info). 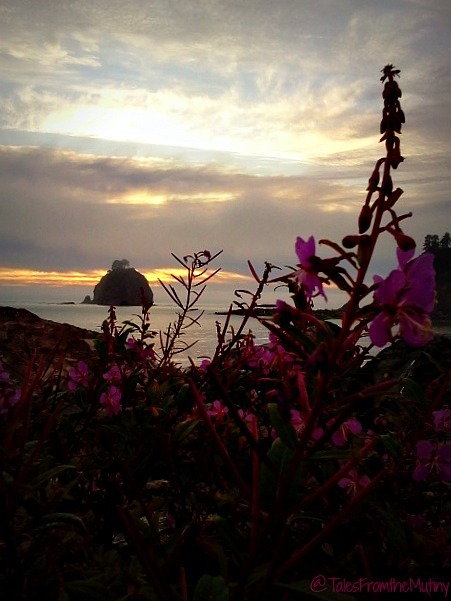 If the weather isn’t cooperating but you still want to watch the sunset, head over to La Push on the Quilete Reservation. There’s a parking area right on the edge of the ocean where you can watch small fishing and crabbing boats returning to the docks. 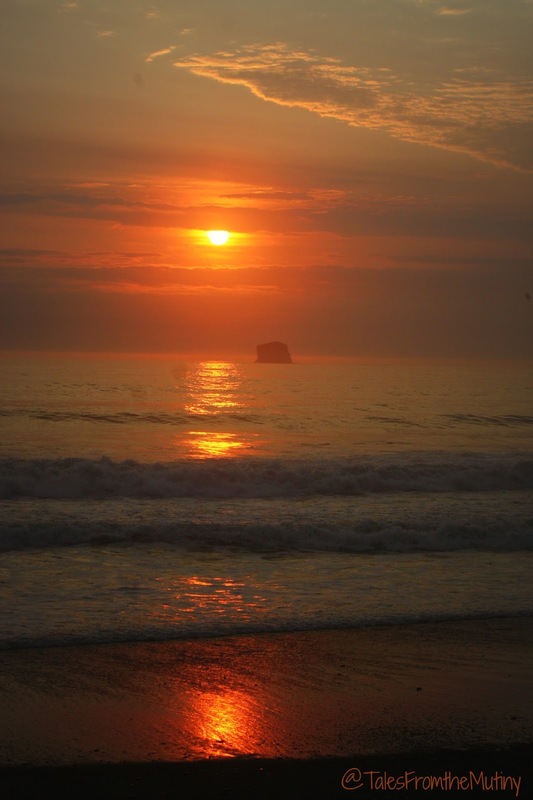 The outcropping of rocks, called sea stacks, provide an interesting background to sunset photos. It’s almost eerie…and, for those Twilight fans, it’s easy to see how a series of books about vampires and werewolves could grow from this setting. 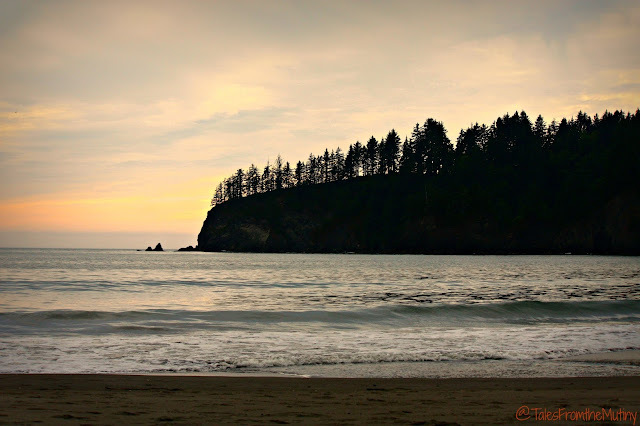 Speaking of Twilight, although we aren’t fans, the town of Forks, Washington (near these beaches) does a fine job capitalizing on the whole thing. 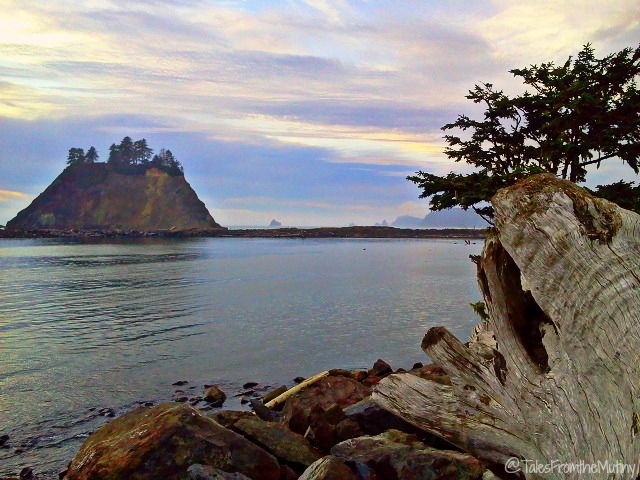 Apparently, the series was written with Forks and the surround area (to include Second Beach) as the setting…however, most of the movie was shot in Oregon. Book lovers won’t mind that little fact but movie buffs might be upset to learn that you can’t really visit any of the filming locations (which reminds me of our stop over in Fargo back in 2013…none of the film bearing the city’s name was shot there either). 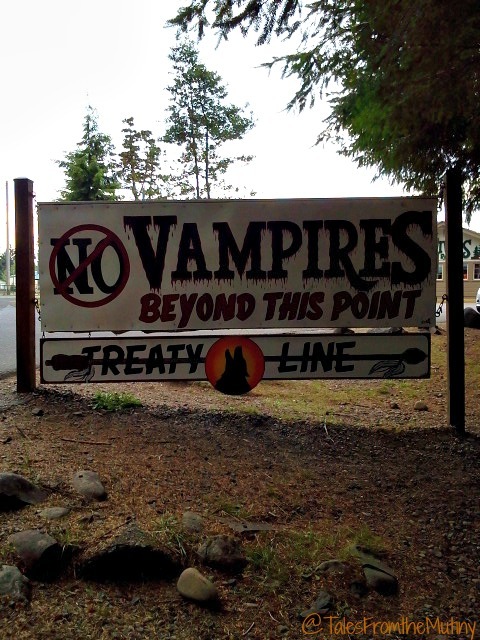 The sign as you enter the town of Forks. 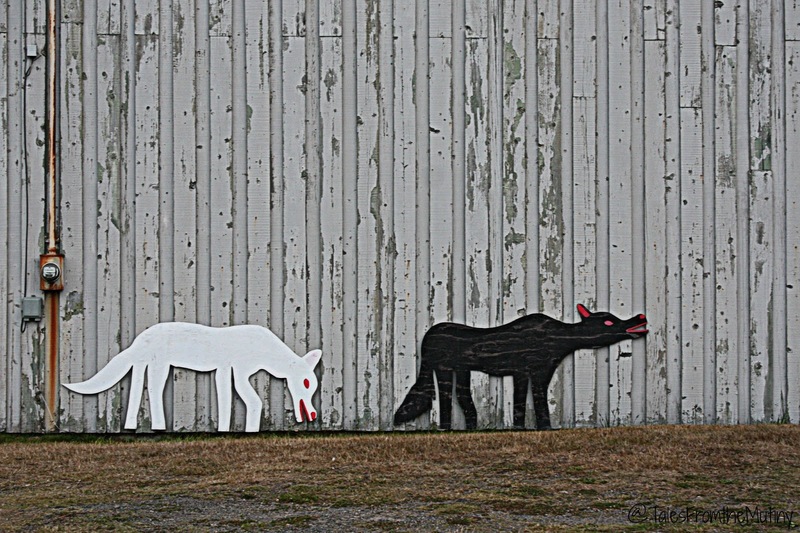 Spotted on the side of a building in La Push. 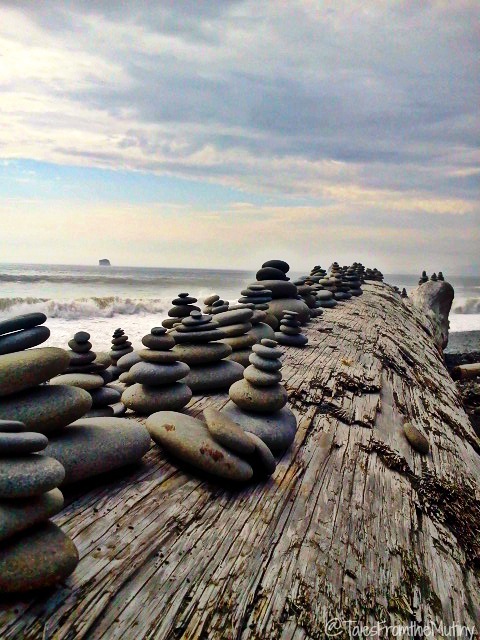 But our favorite spot on the coast was Rialto Beach. Maybe it was the massive amounts of drift wood, or the spectacular sunsets, or the interesting photo opportunities, or the Bald Eagles soaring over head…whatever it was this place is tops on our list. 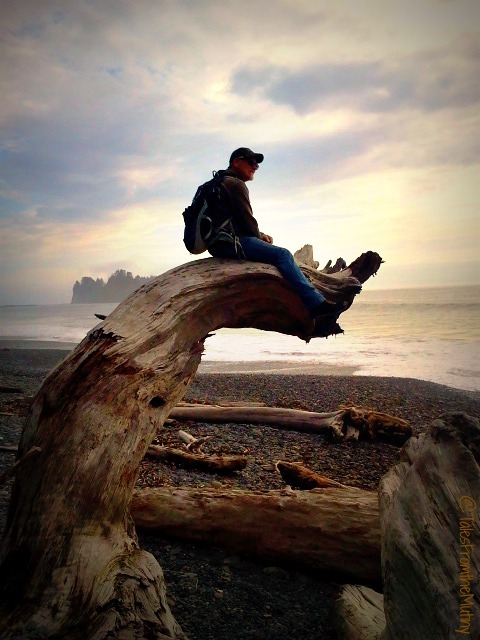 Our adventures in Olympic National Park were officially over. As you can see, the diversity available throughout the park offers something for everyone. 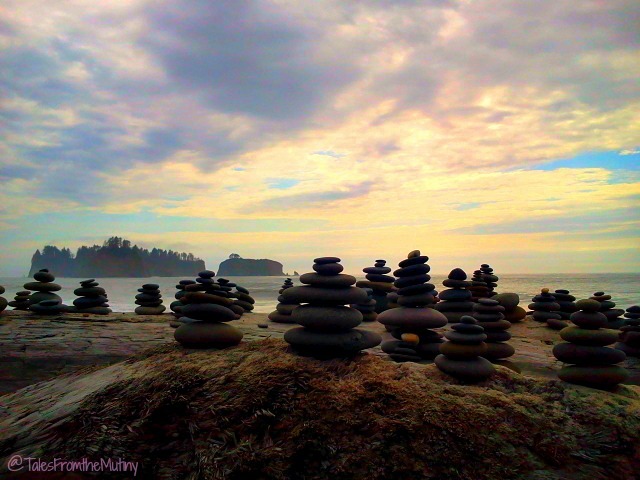 Generally, the weather is more mild in the PNW making it a popular place to visit during the summer months. 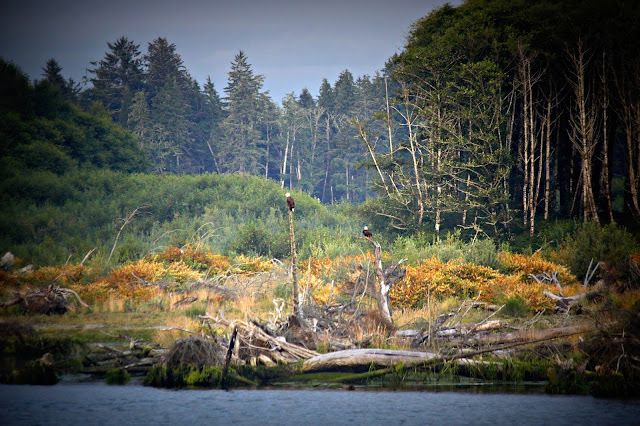 Be sure to check out our other posts regarding Olympic National Park, specifically Elwha, Obstruction Point, Sol Duc and the Hoh Rain Forest. 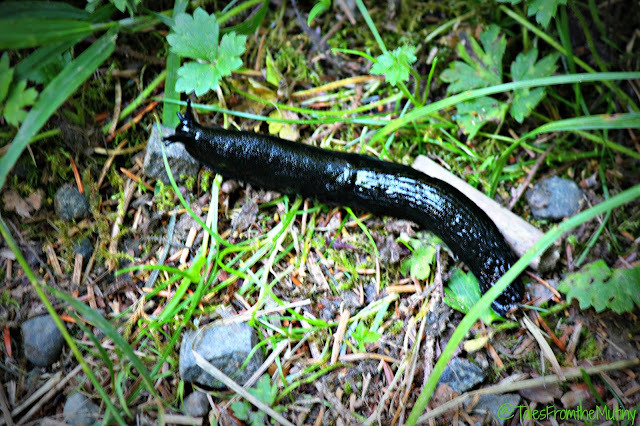 And stay tuned for another post about the our other stops in the PNW. We haven't gotten to this area yet but this summer is looking like a good time! 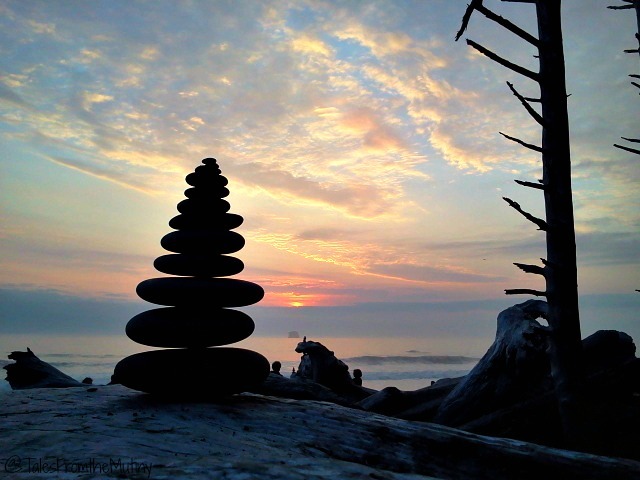 You photos of the beach and the little rock cairns are beautiful!! Merry Christmas from a reader of your blog. Thanks so much! It truly is a fabulous place…even the little towns outside the NP are cute. Almost like stepping back in time. We'll be spending a week on the Olympic Peninsula as part of this years road trip to Alaska. Your tips for this great area are most appreciated. Your presentation makes your blog fun to follow. Thanks! Thanks so much for the comment Jeff, I really do appreciate it! Olympic is gorgeous…so much to see and do. I think it's hard to go wrong here. And the area just begs to be photographed. It sounds like you have an epic adventure in the works! !